Benady, Tito (1996). The Streets of Gibraltar. 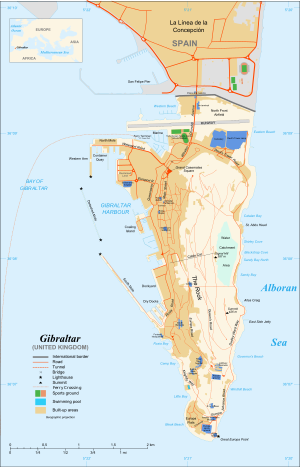 Gibraltar Books. pp. 17–18. ISBN 0-948466-37-5. J. D. Mather (2004). 200 years of British hydrogeology. Geological Society. ISBN 1-86239-155-6. http://books.google.es/books?id=uSwPcR-kG58C.